→How to make money while building your List: free training. How to make money while building your List: free training. Guys, In most cases when you try to promote any affiliate offer or High Ticket Offer program directly you will fail in the long run. Well, if you have an offer to promote and you send solo ads traffic directly to this offer - you are depended on money you have in your pocket - your traffic budget. 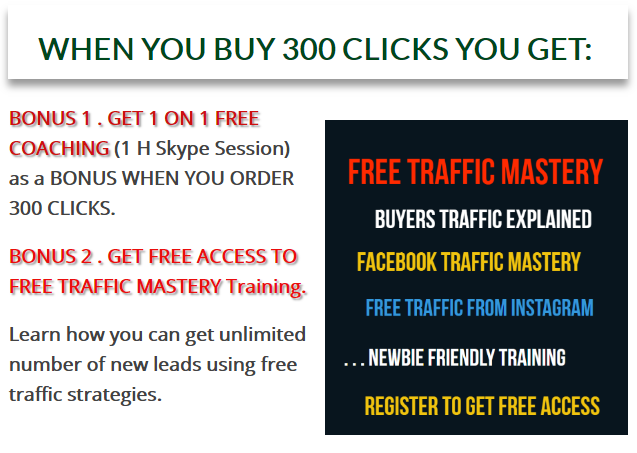 Let's imagine you have $100 for traffic per month - well you will get 30 new leads into your autoresponder and that is it. Furthermore If you promoting high ticket offer and you do not have enough authority in your niche the reality - nobody will buy your $3000 Franchisee offer - nobody - no one. And next you need to find another $100 or $300 or $1000 - but you will most likely get the same results. Yes your list will also grow and you can promote other programs to it. But you can do better than that actually... 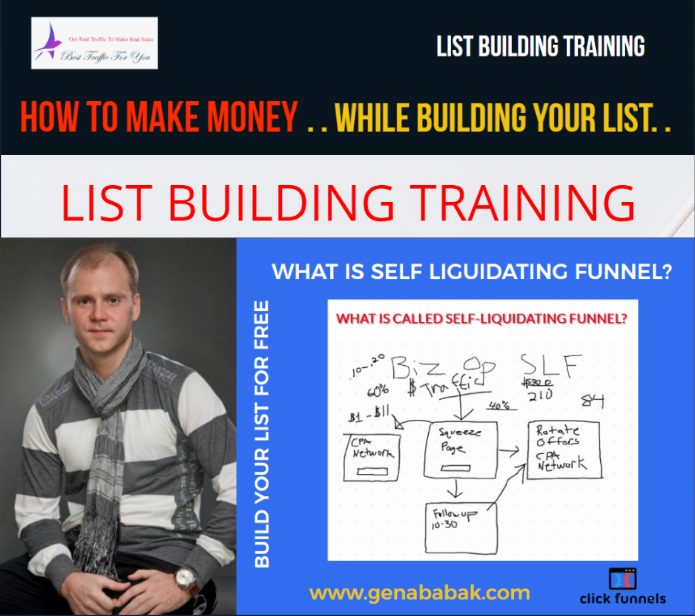 I am talking about Self-Liquidating funnel which helps you make money during the process of growing your list. Below you will see the steps you need to follow to create your first Self Liquidating Funnel for any of your offers. Step 1 . This is your main opt in page - you send traffic to this page to get around 30 new leads to your AWEBER account (or GetResponse) . Step 2. When we create our funnel we add exit pop up to our first opt in page in the funnel. And this is why - around 60 % of people from your ordered solo ads traffic would not want to input their Email data into your form... So when they try to close the page ... we show them EXIT POP UP BANNER with our other affiliate offer - this is how we use our second chance with those people. 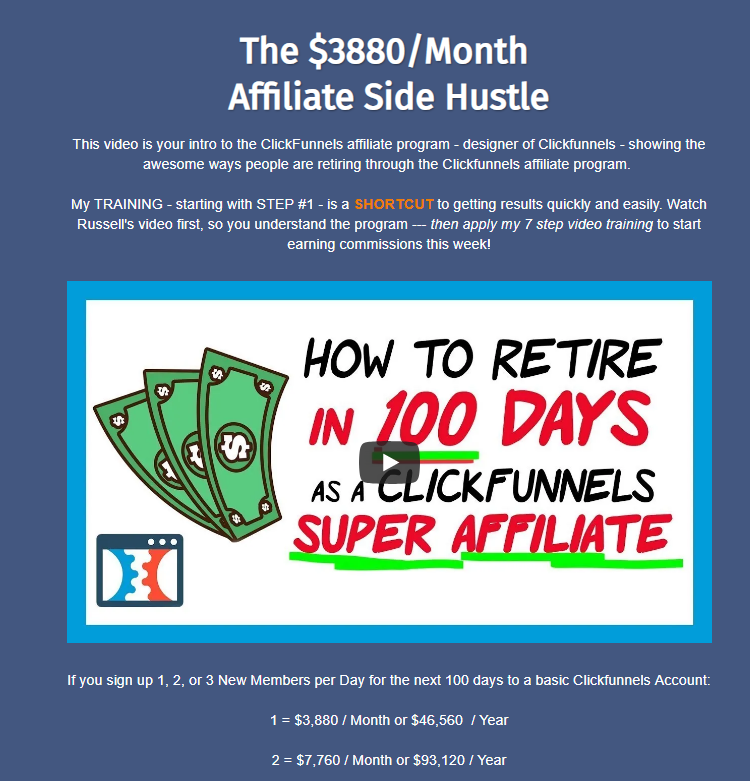 This offer usually can be a CPA offer or a Clickbank offer (actually I use rotator with at least 5 offers) - this is your chance to make money during the process growing your list. For example you pay $75 to buy 100 high quality solo ads clicks and you have got 2 sales $45 each immediately - this is already covers the cost of your traffic... This is how you can build your List for free if you do everything right. But the main page for us is the last page of this small funnel - Thank you page. On the Thank you page we give people possibility to use the same funnel and we make real passive income sharing the same funnel with people. STEP 4. 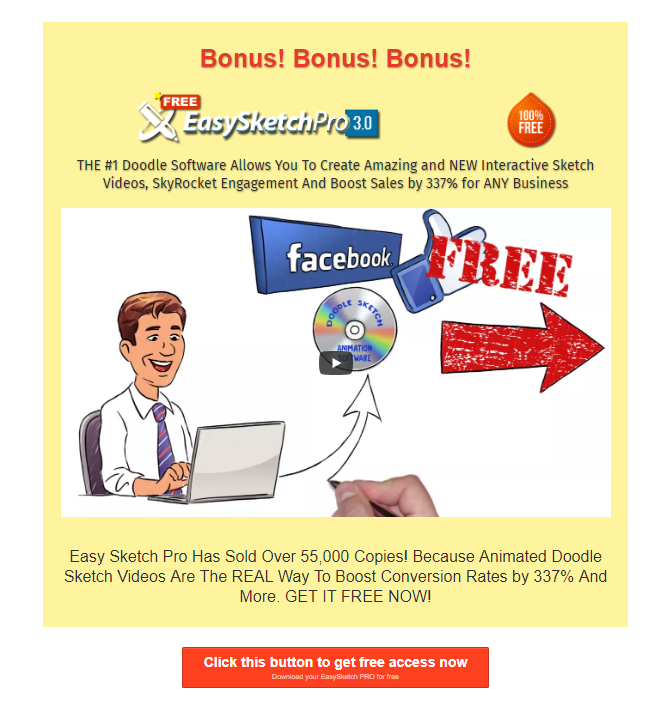 PROMOTING ANY AFFILIATE OFFER OT HIGH TICKET OFFER WEBINAR AS A BONUS! WHY USING THIS MARKETING FUNNEL IS THE BEST YOU CAN DO? 3. GET FREE TRAFFIC PROMOTING UDIMI INSIDE THE FUNNEL! Also now you are in the TRAFFIC BUSINESS - you sell traffic !!! You make 15 % in affiliate commission from every solo ads traffic package order your referrals place on UDIMI. You may promote any of your affiliate programs as a BONUS inside the funnel.